Sure, it’s for dogs, but I’m pretty sure I’m not the only human who has tried BeerDog’s Bitter. This is a new product I was sent a few months ago and I have to say the idea of a beer for dogs had me intrigued. Partially because I knew I was going to try it. But rest easy because it’s not real beer – giving your dog real beer is not only cruel but it can also kill your pet. So stop doing it. 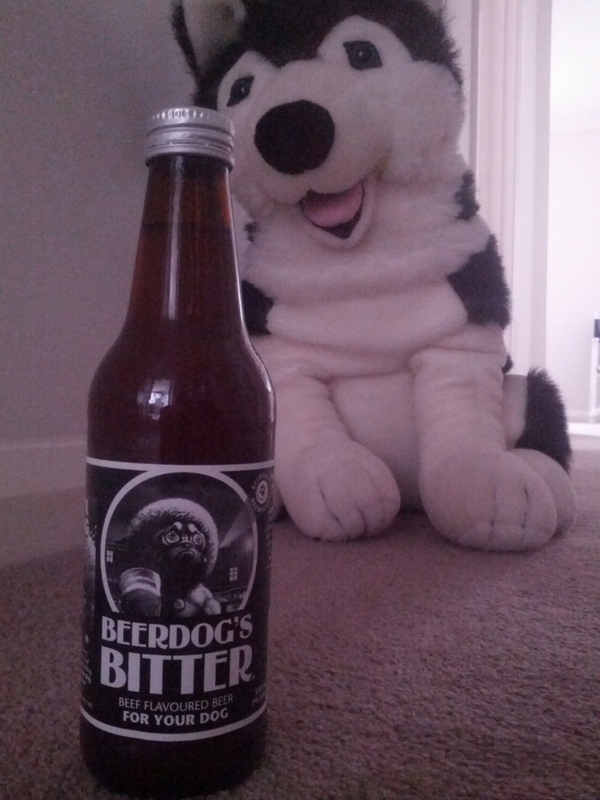 Anyway, this stuff has no alcohol, no hops – the part of beer that can kill doggies – and is low in carbonation. What it also has is human-grade malt and beef stock. And it has a really cool-looking mascot on the label. I like that afro-wearing dog so much if they put him on a T-shirt I’d wear it. The idea behind the product is that it can serve as an occasional replacement for water. Now, if you’re a beer geek with a dog, you’re surely going to want to get some of this. I don’t have a dog, which made it hard to road test the beer. Unless I drank it myself.I asked the company if it was safe for humans to drink. Their response was along the lines of ‘‘yeah, but why would you want to do that? It’s for dogs’’. With curiosity getting the better of me, I poured some into a plastic beer festival glass (pretty sure Speigelau doesn’t make a glass for this occasion). I gave it a whiff – yep, it definitely smells beefy. Next I had a sip. And was happy I chose to sample this over the sink, because I had to spit it back out. My brief memory of the taste was that there was a lot of beef flavour there too. But probably beef flavour a dog would like more than a human. A week or so after this, I gave the other bottle to a work colleague with dogs, who reported that they seemed to enjoy it. So if I’d have waited a few weeks I wouldn’t have to have tasted BeerDog’s Bitter. Oh, who am I kidding? I was always going to try it. haha awesome, I have a dog and it’s about time he was able to share a beer with me! So they have made a bovril like drink for dogs and called it a beer?